You're looking at sophisticated, chic and classic with this brand new Chanel. The smooth, quilted, red patent leather exterior features contrast stitching, the CC signature flap and leather-and-chain strap. 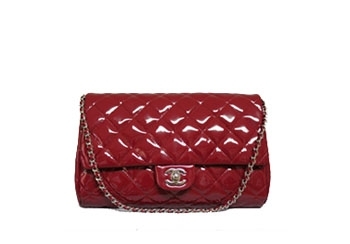 You can go out night or day with this stunning Chanel Timeless bag. Refundable security deposit may be required for rentals. Layaway purchase plan available. Please contact us for more information.